President Obama signed the Wounded Warrior Federal Leave Act of 2015 into law on Nov. 5. After passing the House in a voice vote on Sept. 28, the bipartisan bill was approved by “unanimous consent” in the Senate on Oct. 26. The bill was initially introduced in the House in January 2015 by Rep. Stephen Lynch (D-MA) with 33 co-sponsors, including 27 Democrats, and six Republicans. The new law grants up to 104 hours of paid leave to all newly hired federal employees who are veterans with at least a 30 percent service-connected disability rating. These veterans are entitled to use the additional leave during their first year of federal employment in order to receive medical care for their service-connected disabilities without having to suffer loss or reduction of pay. Employees are eligible to take advantage of this benefit from their first day of employment. Any leave that remains unused by the end of the initial 12-month period will be forfeited – carry over is not permitted. Thanks to President Herbert Hoover, who signed Executive Order 5396 on July 17, 1930, disabled veterans who are civilian federal employees have long had the right, essentially without limit, to take sick leave, annual leave or leave without pay (LWOP), without penalty for the purposes of obtaining medical treatment and recuperation. The 85-year-old Executive Order, which is still in effect and binding on all Executive Branch agencies – including the Postal Service – has great value to veterans and their families. However, until the passage of the Wounded Warriors Federal Leave Act of 2015, new hires were often forced to choose between losing pay or sacrificing medical care because they had no paid leave available to them so early in their careers. The new law will surely help to relieve veterans from having to make that choice. Veterans who use leave under either the Executive Order or the Wounded Warriors Federal Leave Act are required to submit certification to their employer from a recognized health care provider to verify that the leave credited to them was used for its intended purpose. The Postmaster General will be responsible for prescribing regulations with respect to the leave, including the form and manner of the required certification for employees and officers of the Postal Service and the Postal Regulatory Commission within nine months of enactment. The Director of the Office of Personnel Management is charged with doing the same for all other federal employees. An entitlement to take LWOP, if necessary, to perform military training duties under the Uniformed Services Employment and Reemployment Rights Act of 1994 (USERRA), Public Law 103–353. Up to 12 workweeks of absence within a leave year for one or more of the reasons covered by the Family Medical Leave Act, including any qualifying exigency arising out of the fact that the employee’s spouse, son, daughter, or parent is a military member on covered active duty (or has been notified of an impending call or order to covered active duty) in the Armed Forces. Up to 26 workweeks of leave during a single 12-month period to care for covered service members with a serious injury or illness. Members of the military, our veterans and their families all have made tremendous sacrifice for our country, but all too often the Postal Service and other employers put the needs of the agency or company above the rights service members and veterans have earned and are legally and contractually entitled to. Challenge violations. To learn more, review ELM 514.22. 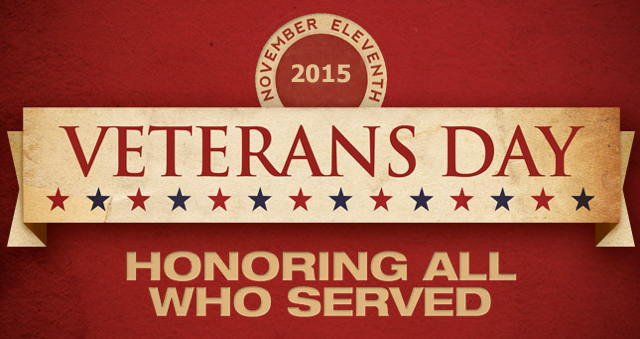 As Veterans Day approaches, the APWU joins the nation in honoring all those who served. THIS GUARDIAN OF HONOR, SO WILLING TO FIGHT..